My son gives Teenage Mutant Ninja Turtles a big thumbs up!!! Back in August of this year, my son and I had the pleasure of going to an advance screening of newest Teenage Mutant Ninja Turtles movie here in Detroit. The special screening was the final piece of an elaborate celebration of the movie release which began with FREE showings of all three of the original movies in the TMNT series. Just like my son, people all across Metro Detroit just loved the original movies and could not wait for the newest TMNT film. 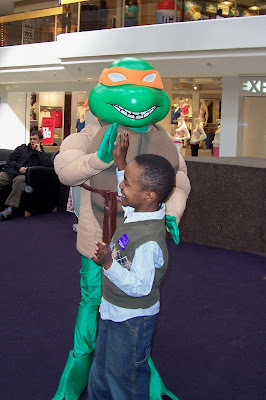 My son in 2008 - loving some TMNT!!! 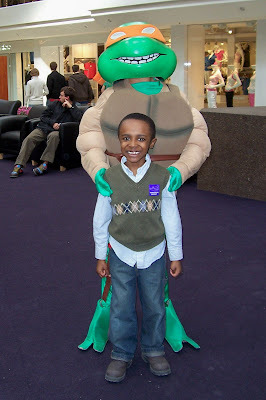 When I found out there was going to be a new Teenage Mutant Ninja Turtles movie, I was transported back to my son's TMNT themed 8th birthday party in 2008 where everyone (adults and kids) wore turtle masks and yelled "Cowa Bunga Dude" more times than I care to admit. My son is a true TMNT fan who has watched all the cartoons, played all the TMNT video games, and loves Michelangelo like he's a real person. So he could not wait to see this newest version on the big screen. The newest version of the Teenage Mutant Ninja Turtles story revolves around New York City fighting a highly organized street gang with martial arts ties who is terrorizing the city to cover up the theft of some very highly toxic chemicals. The turtles have their crime fighting base in the city sewers and are trying to keep out of the way of the humans. But one day, a reporter named April O'Neil (played by Megan Fox) tumbles across the turtles as she is checking out a story and realizes that she has a connection to the turtles that goes back to her childhood and the death of her father. As the story continues, we find out what really happened to April's father and how the four Turtles and Raphael the Rat (voiced by Alan Ritchson) ended up in the sewers and why they love pizza so much. Today, November 25, 2014, marks the Digital HD release of the Teenage Mutant Ninja Turtles movie and my son is excited yet again to be able to see all his favorite turtles in action. The holidays are a perfect time to take a break from all the food festivities and bargain shopping and enjoy a little family viewing time with this newest TMNT movie. - The contest ends on Friday, December 5, 2014 at 11:59am EST. - Prize will be mailed to the winner by the PR company for Paramount. - You can get 1 extra giveaway entry for following TMNT Movie on Facebook. 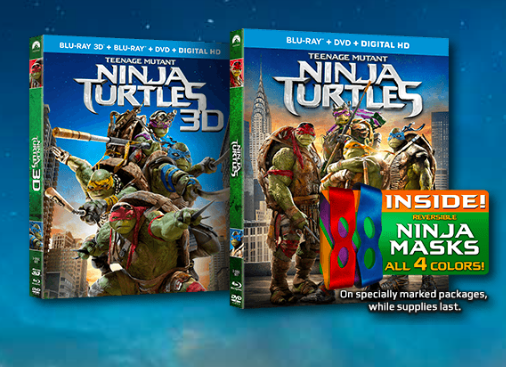 - You can get 1 extra giveaway entry for following TMNT Movie on Twitter. - You can get 1 extra giveaway entry for following my AND THE WINNING IS EASY board on Pinterest. - You can get 1 extra giveaway entries for tweeting the following message on Twitter "I entered the #TMNTmovie Digital HD Prize Pack GIVEAWAY on @freeismylife http://ow.ly/ETIbH "
Random.org has spoken!! Out of 244 entries, Random.org has picked #114. 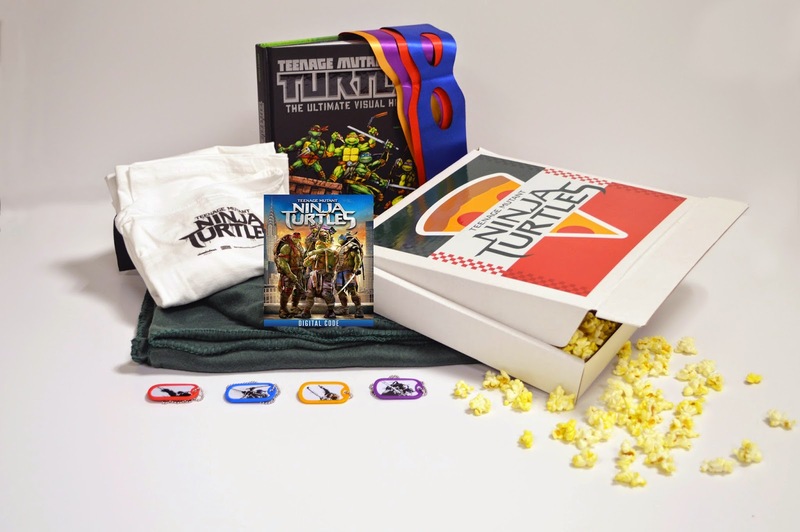 Congratulations to the winner of the #TMNTMovie Digital HD Prize Pack - Jennifer P. of Allen Park!! !